The Strand and Worth Ave.
Full catering and carryout menu available for pick up at the restaurant. 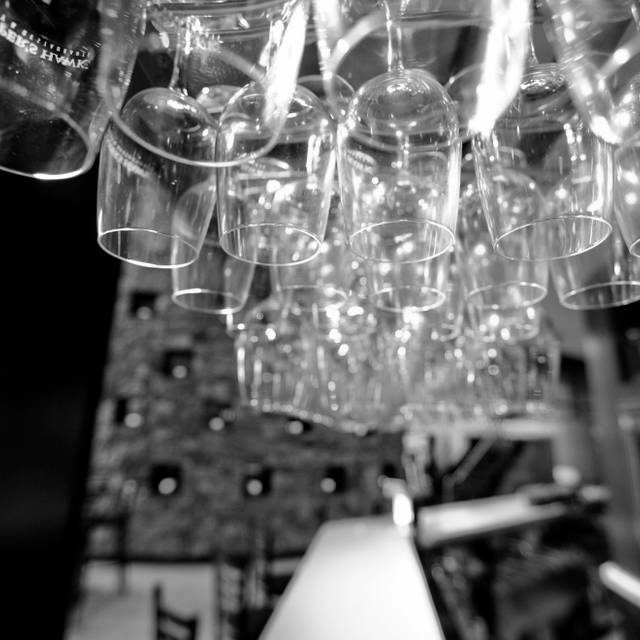 For menus, visit www.chwinery.com. We weren't in a hurry. But, the service was very slow. The food was very good. 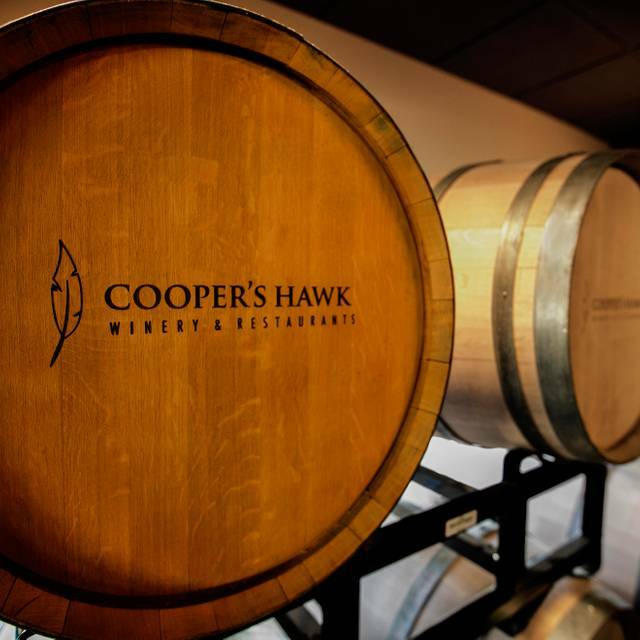 My son and I enjoyed Easter lunch at Copper’s Hawk Winery & Restaurant in Columbus this afternoon. Our appetizer and meals were delicious and our server, Madeline, was great. I’ve never been disappointed dining at Cooper’s Hawk. Cooper's Hawk never disappoints! We waited at the wine tasting bar while all of our party arrived. The server there was knowledgeable and friendly. We had a party of 8 plus a baby and the seating was comfortable. Our server was helpful and efficient. We ordered the new meatball appetizer and the calamari (which is a favorite of ours) and passed around the table for all to share. Everyone really liked these. Everyone was happy with their food. The only minor complaint was our son thought that his medallions were too salty. Other than that, delicious! We are also wine club members and we had not picked up our wine for a few months so we were able to have 2 bottles of wine at our table from our wine club stock. We also went home with the other 5 bottles we had not yet picked up! 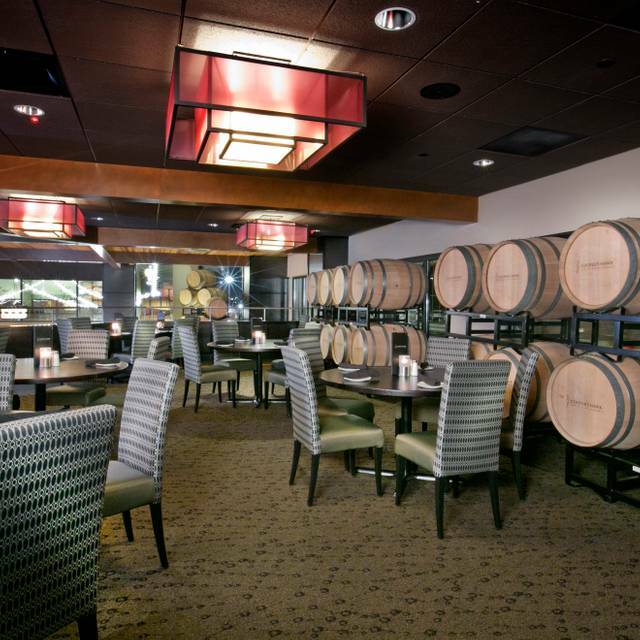 This is probably one of my favorite restaurants~good wine and so many food choices to please everyone in a group! Food had sat under heat lamp way too long, steak medallions and side dishes were cold. All food for the table looked like had been sitting for a while. They remade the food but really made for a long night. Tri, who did our wine tasting is so knowledgeable and awesome! Our server kept saying she would be back in a couple minutes everytime she was at our table but wouldn't be back for like 15 minutes...kinda weird. My husband always gets the pesto caesar and a flatbread, so good. 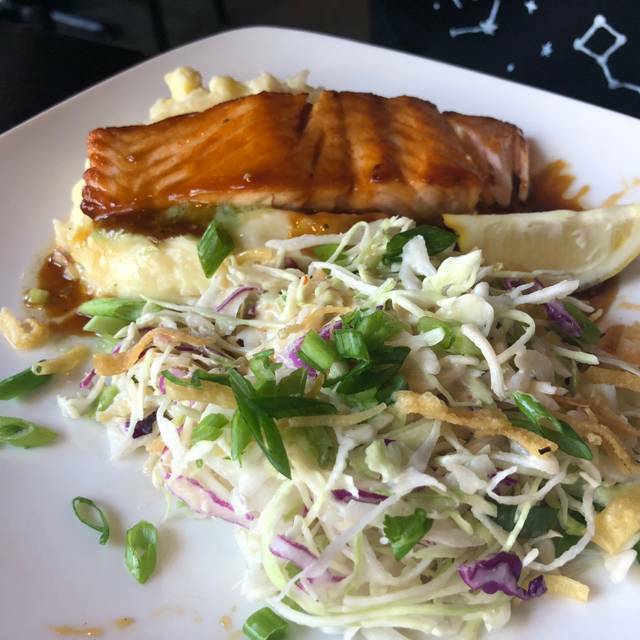 I tried the potato crusted scallops with a brussel sprout salad, a chef special, and they must have needed to get rid of them because they smelled very fishy, luckily they didn't upset my stomach so it was all good! We try to come at least once a month, the wine club(and food) keeps us coming back! We have been members for several years. We have never had a bad experience. The only wine we buy. 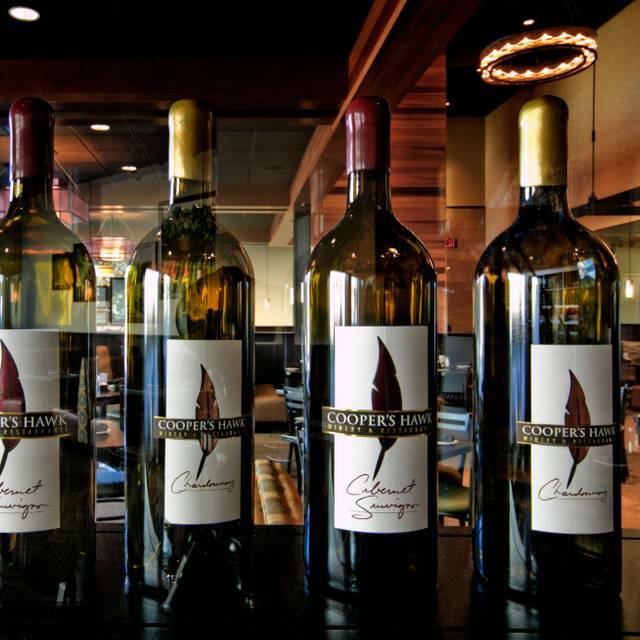 Need a Coopers Hawk in Denver. We visit there frequently. We love this place! The food is always tasty, the service is good. We were sad to learn that the crab beignets would soon disappear from the menu. But the replacement might be just as tasty. Also, the wine of the month is a very refreshing red. As always it is the best!!! !The staff is incredible and all of the food is my favorite. I always have a terrible time making up my mind what I am going to have because it is all sooooo good!!! Great food, well priced. 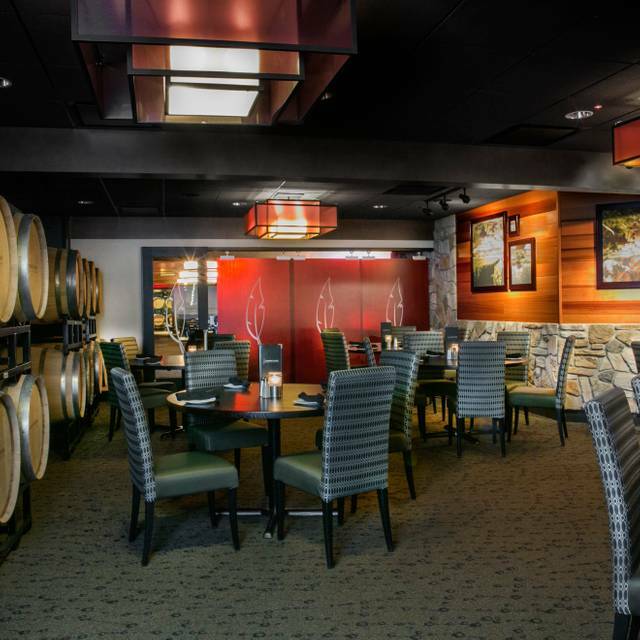 We love going here for a wine tasting and dinner on date night. GREAT experience! Always is. Food and wine is excellent and ambiance is relaxing. Always enjoy Cooper's Hawk. Food was excellent and the atmosphere always relaxed. We went to celebrate our 6 month anniversary! 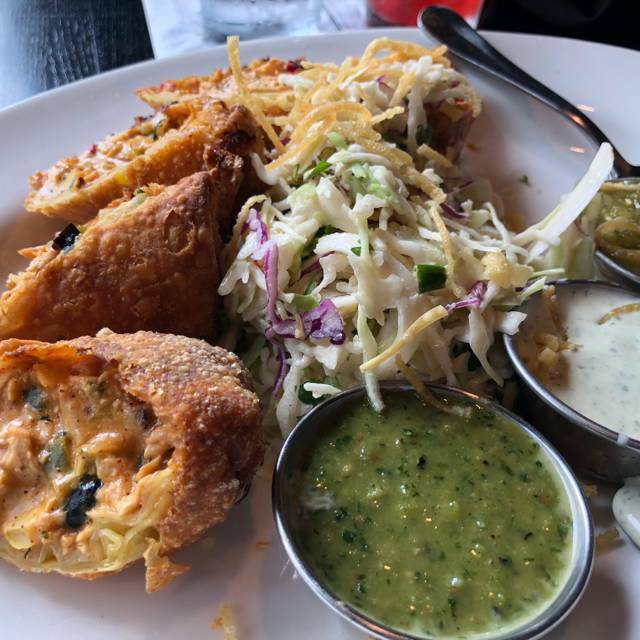 Everything as perfect, delicious and we can’t wait to go back! Reservation was for 6:30 pm, we sat at 6:31 pm. Received our drinks within 5 minutes, placed our orders, and received the food (well prepared) in less than 20 minutes. Waiter was attentive and professional. Out of the restaurant by 7:30 pm to enjoy the rest of our evening. Wine staff excellent. Victoria was knowledgeable. Dining was great as always. We always have a great time here. My favorite is the brussel sprouts and drunken shrimp such great taste! 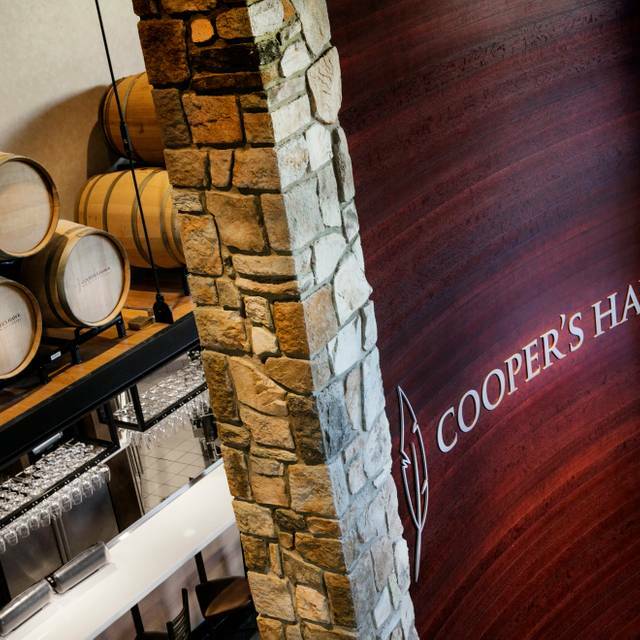 Although I have eaten at Cooper’s Hawk in other markets, I had not been to the restaurant at Easton. We celebrated my wife’s birthday and were extremely pleased with the full experience. Service was spot on. The wine was delicious. We felt the food was of high-quality and priced well relative to their competition. We will certainly be coming back in the near future. We had a food allergy & the chef & waiter were great in helping accommodate it. Lunch was terrific! Our server was Cory. There were a few mix ups from the kitchen but he handled everything like a CHAMP! We didnt wait long but we also had time to talk with our other guests. It was our first time there and we were definitely impressed. Food and service was great. The noise level was a little loud to enjoy a conversation with our group. Lots of selections on the menu, would work for a wide variety of tastes. Meal well prepared. Noisy during peak hours. I could talk easily with the person beside me but more difficult the further away they were. This was my first visit, I had made reservations and upon arriving was given the option for outdoor seating, which I said yes too. We were told to move to the left after checking in for our reservation. A few minutes went by and I began to wonder when we would be seated. I asked the hostess and was told they had been calling my name and I never showed up. I was less than 10 feet away and never heard them or saw them looking for me. They told me we would be seated next but outdoor seating was no longer available. Nothing was done to make up for this error and they made it seem like it was my fault that I didn't hear them. The tasting room/waiting area to be seated is very loud. The hostesses do not have a paging or buzzing system to alert people that their table is ready. On a positive note, our waiter was nice and professional. The food was average. I'm in no hurry to return. I have yet to find an entree that I don't like here. The food and service is very good. Wait time wasnt bad. We had reservations at 545 and only waited about 5 minutes to be seated. Unfortunately we were sat upstairs which looks like a banquet hall. Our server did a good job and she was new. Let us know it was happy hour which was great. We ordered the hummus for an appetizer but it was hard to eat with the charred veggies placed in the hummus instead of off to the side and they were very under cooked. I ordered the special which were potato crusted scallops. The scallops were great and well cooked, portion size for the side was very small. My girlfriend got the surf and turf with steak medallions and the drunken shrimp. The steak was pretty average, and the shrimp was very overcooked. Once again the oven roasted veggies were under done. For two $30 meals that were just mediocre I cant see us going back for food, but maybe just for happy hour for drinks and apps. Our server was awesome, and the food was great as usual. Loved the combination with the tasting room. Was able to enjoy dinner with the wine I chose at the tasting. Fantastic! The service was great, the ambiance amazing! And, oh yeah, great food and wine! Our group enjoyed an amazing time out! Sam and Kyle, thank you for your time, kindness, humor and attention! Our server Andrew was absolutely outstanding! A group of seven of us decided to eat out after our friends mother's funeral. We asked for a round table and space off to the side. The front desk people accommodated us and we enjoyed laughter and tears for four hours. Great place to go and fellowship and eat great food. It was perfect. Out waitress was amazing, very knowledgeable about the wines and menu. I frequent Cooper’s Hawk, but my date had never been there. She was a great help. It was quiet, ambiance was perfect for the occasion. I ordered surf and turf with grouper and filet medallions it was perfectly cooked and the grouper was very tasty. We had a sweet red, that was what she chose we both enjoyed the evening. I’ll definitely be back. We're members at Cooper's Hawk and this was hands down the best service we've ever had. Overall experience was really good. Our food was tremendous as usual, but our service was kind of slow. It seem like our waitress forgot about us a couple times. I wonder if she had too many tables to service. I am a wine club member and brought several friends who have never been here before. Everything was fantastic and they were really impressed! They all want to return again. 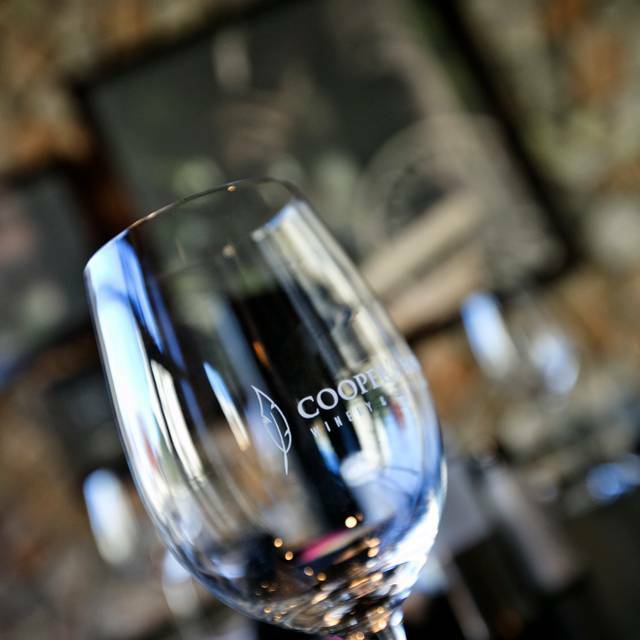 Always a great time and great food at Cooper's. It is a once a month stop. Cooper’s Hawk came recommended by several people. The service we experienced was disappointing. It took 2 hours for lunch. There seems to be a training issue and lack of leadership at this location. Bummed as 8 thought the menu would be great.